What makes a Bathroom? – Carpentry Time, Inc. The question is what makes a bathroom? A bathroom is one of those spaces that you can dream it up to be anything that you like it to be. How would you like your bathroom to look and feel? What are your goals? What are your habits? How can your bathroom serve you? These are only some of the questions I would ask when designing a bathroom to suit one needs. What is the feel that you are going for when it comes to your bathroom and how can we design a bathroom that fits your current habits, needs and wants? A bathroom like a kitchen is just one of the special rooms in a house that you spend time in getting yourself together for your day, and then cleansing of your day and getting you ready for a relaxing evening after a long day at work. 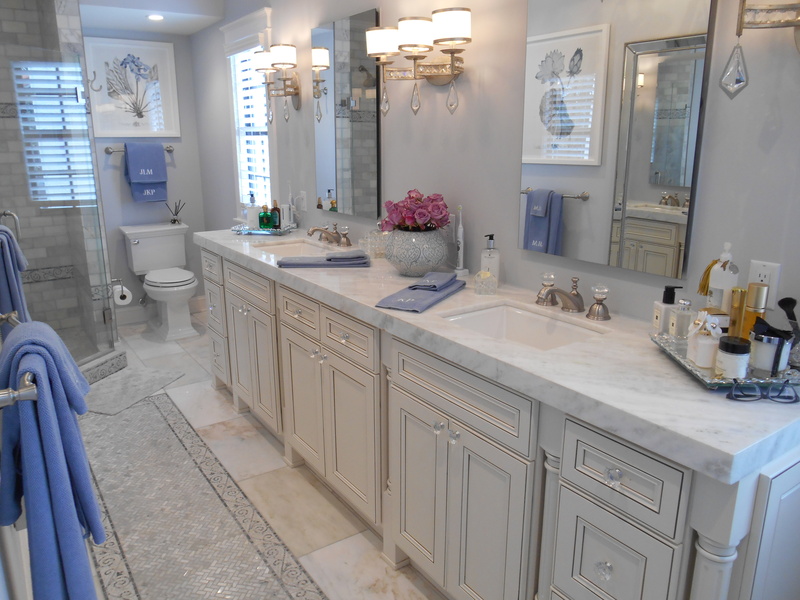 When you see this image of this bathroom pictured you can see that this bathroom was put together with great elegance and class, from the cabinet choice, to the decorative legs, knobs, the sink and faucet choices. Every detail was well thought of. Nothing was left out, every aspect of this bathroom had great consideration. Every details. This is just a visual detail of exactly what you can dream up. But keep in mind that no matter what and where your imagination takes you we can make it a reality.